Wear comfortable clothing to ensure a relaxing session. It is necessary to wear clean white socks. No food or water is permitted. It is highly recommended that you arrive fifteen minutes prior to your scheduled appointment. This will give you time to visit the restroom, in order to ensure an uninterrupted session in the Salt Cave/room. The door to the Salt Cave will close at 7 pm promptly. There will be no refunds for late arrivals or no-shows. Please note that the Halogenerator will not be in use during this session. 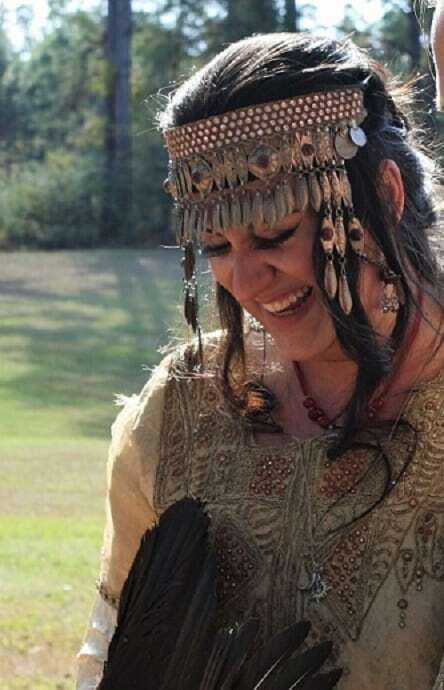 From an ancestral line that stretches across Persia to Mongolia, Nina’s roots run deep in the ancient culture of mysticism and Shamanic practices. She comes from a long line of mediums, with the ability to walk in both the physical and spiritual realms. She works with clients, assisting them with their personal healing. Nina feels by her continued process of awakening to her own life, she has the opportunity to guide, assist and support others as they awaken to their own lives.